The Jupiter 468 Series 3-Valve Euphonium is an ideal instrument for students. It has a warm, deep sound but it is also built to be durable. On top of all of this, the 468 is an affordable value that teachers and parents appreciate. Its 3 stainless steel valves are part of a removable valve section for easy care and maintenance. This euphonium can be easily transported on the bus with an included ABS molded case. It also includes a small shank mouthpiece. 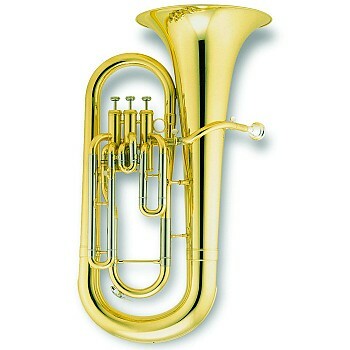 The Jupiter 468 comes in a lacquer or silver finish and makes for a wonderful first euphonium.